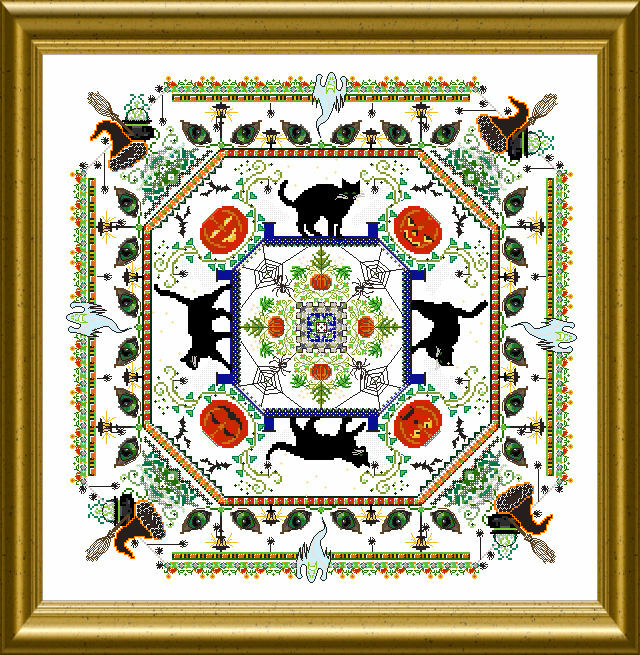 The mere design size is 255 x 255 stitches, the design comes in one part. Looks like a lovely and spooky Halloween stitch piece. Look forward to playing with threads and colors. Have been going thru my fabrics to see which color to use. Have some purples and oranges and light green with light purple splotches, a tuff decision.